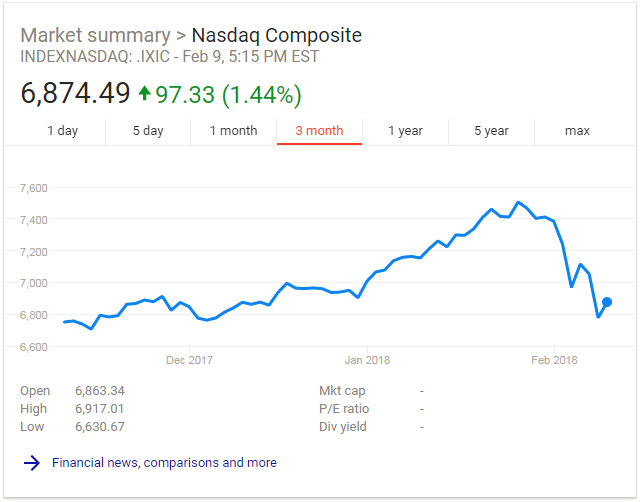 Bear Market? What to expect in the PEO industry during a sluggish economy. 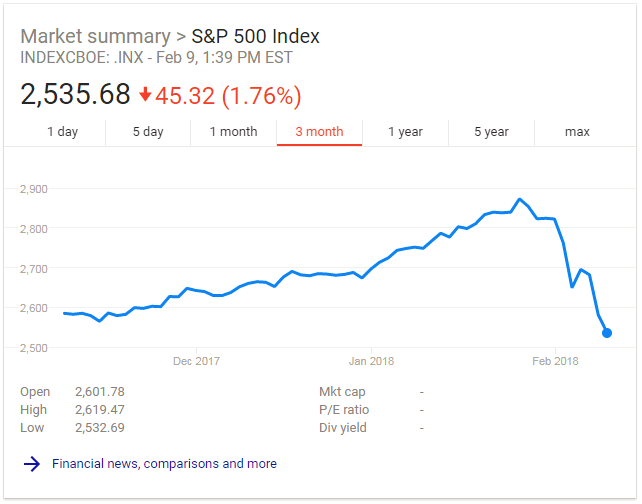 Bear Market? What to expect within the PEO industry. 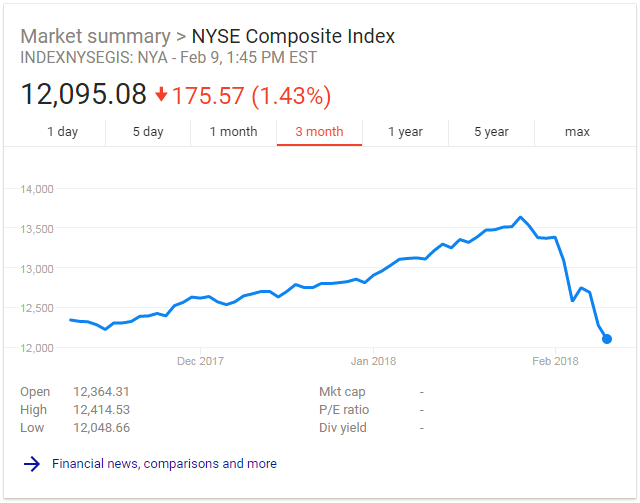 February 9, 2018 November 12, 2018 RobComeau If/when the "bear market" approaches, the likely affect on the PEO industry. 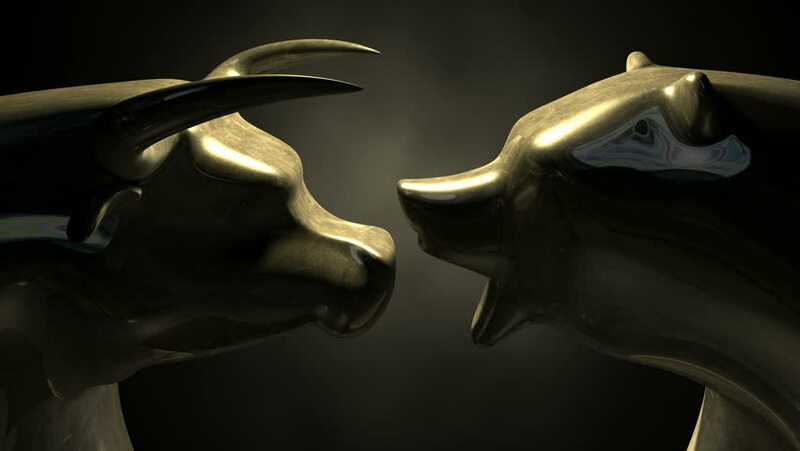 Recent dips in the stock market have many speculating that a bear-market may be fast approaching . Overviews of recent market performance are illustrated below. January’s article Is the PEO Industry Poised for Growth? discussed the expectancy for moderate growth within the PEO industry over the next decade due to a likely downward shift in the stock market. With this shift potentially coming sooner rather than later, we wanted to cover what the industry may expect in the coming years. 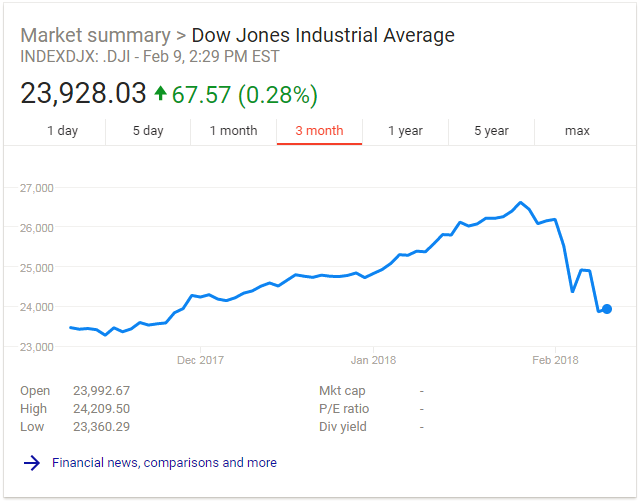 Dow Jones three month trending as of 2/9/18. It is important to review how the PEO industry has performed in similar past situations to help predict upcoming performance. During the last economic downturn (great recession), the PEO industry experienced only one year of negative year over year growth followed by moderate growth through 2013 (see figure 1 below). If the past is any indication, any reduction in industry revenues may be short lived. Moreover, the industry will continue to add new business during a sluggish economy. 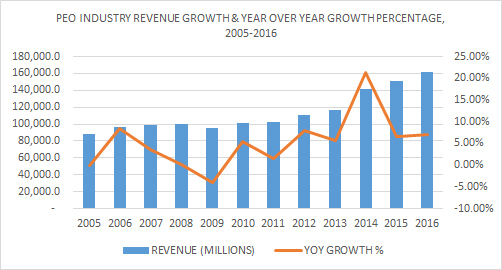 However, it is important to note that the full realization of the new business won’t be immediately visible in company revenue numbers. This is due to the likely reduction of WSEs, wages and/or hours within the existing PEO client base (same store sales reduction). Any reduction in same store sales will offset some of the new business adds and therefore revenue numbers won’t truly reflect the full increase until the economy levels out. For additional information and PEO industry statistics, please read our PEO Statistics Updated article from last June. A sluggish economy, while not preferred, still presents opportunities for smart players within the PEO industry. PEOs with good working capital or preferred equity partners will likely be able to make acquisitions at a lesser cost in the middle of a bear-market. As a result, those PEOs, once the economy improves, will realize a beneficial EBITDA growth post acquisition. In turn, this will increase the ROI for the acquisition. Business owners will look for efficiency during a down economy. The PEO model is perfect to help SMBs achieve efficiency and levels of scale while allowing the SMB to focus their energy on critical areas such as revenue generation and streamlined operations. When SMBs are forced to reduce hours, headcount, or wages, employment legal action is likely to increase. This can take the form of EPLI claims and/or workers’ compensation claims. PEOs equip business owners with the knowledge and resources to help mitigate these exposures which ultimately protects an SMB’s bottom-line. Protection of profit is key during a sluggish economy. When times become lean in the business world, competition becomes fierce. PEOs can assist SMBs with business and cost efficiencies which helps SMBs remain competitive in a tough economy. Of course all PEOs are not created equal. However, those that are positioned appropriately will not only weather the storm but also capture market-share in the process. The bear is coming, it’s just a matter of when, how substantial, and for how long. Just about everyone can succeed in a severely bullish market and booming economy but only the best will continue to elevate when the bear comes out of hibernation. Author: Rob Comeau is the CEO of Business Resource Center, Inc., a business consulting and M&A advisory firm to the PEO and PE industries. To learn more about BRCI, visit them on the web at www.biz-rc.com. You may ask Rob questions on this subject or others in the Ask the Beard section of this website. ← Is the PEO industry poised for growth? Are Professional Employer Organizations A Sound Financial Investment? Is the PEO industry poised for growth? Health Insurer & Workers’ Comp Insurer Industry Statistics in the U.S.
Executives that embrace leadership development promote corporate sustainability. Superior Growth? Not With A Risk Averse Model. Copyright © 2019 PEO Industry Publication. All rights reserved.